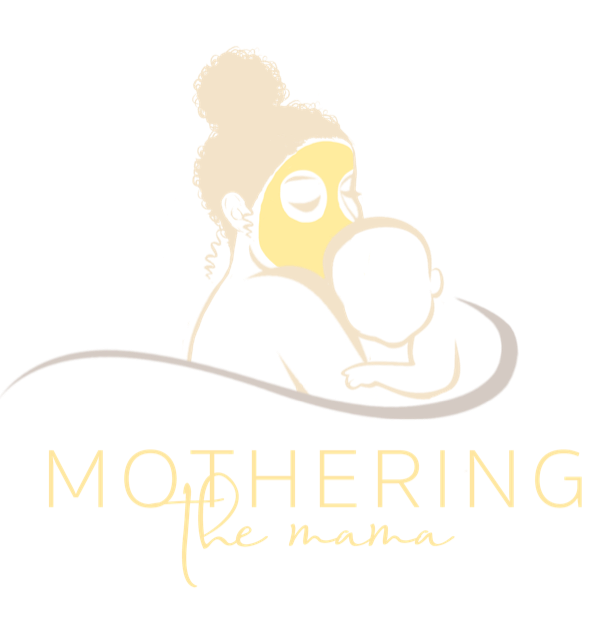 When I first became a mom I researched all of the top products for my baby. Best rocker, best sleeper, best body wash, best everything possible. I mean your a first time mom! You want absolutely the best of everything for your little one. But first, I was a pet mom and trust me, it was no difference. Gunner was my first true responsibility before Tate came along. Prior to this pups arrivals in our home I did all the same research I could from pet beds to training lessons. But one big part of my research I missed was food brands. I like most people, assumed the different dog foods in the store only really varied in flavor and variety not so much as to what what was actually in them. 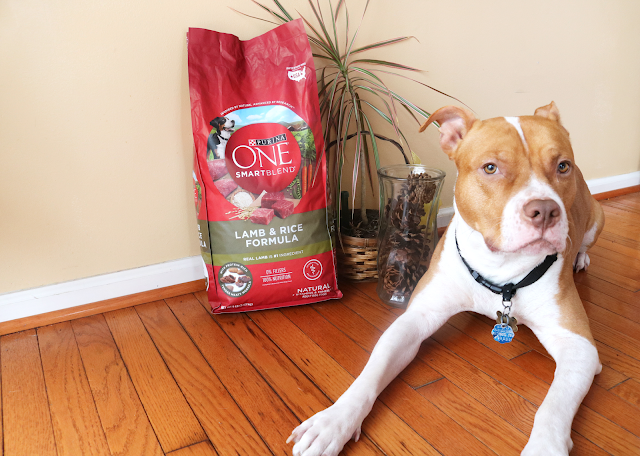 Originally I started Gunner on a traditional brand of food many pet owners give their dogs. Contrary to my belief this pet food was not beneficial for Gunner. It caused his skin to break out and his nails to become brittle and break. It was the worst! I thought to myself if this pet food I feed my dog can cause this reaction to him imagine what it would do to my baby if accidentally ingested. That’s when I knew I had to change food brands. 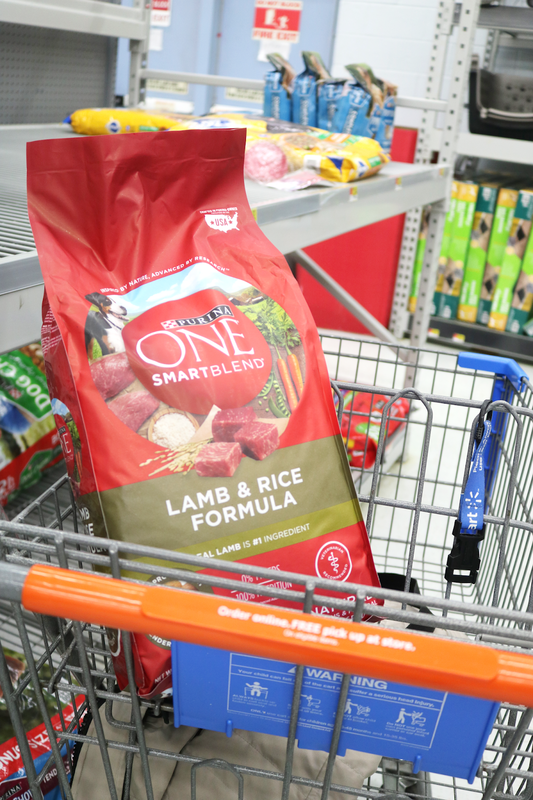 Interested in trying out Purina ONE® Lamb & Rice too? 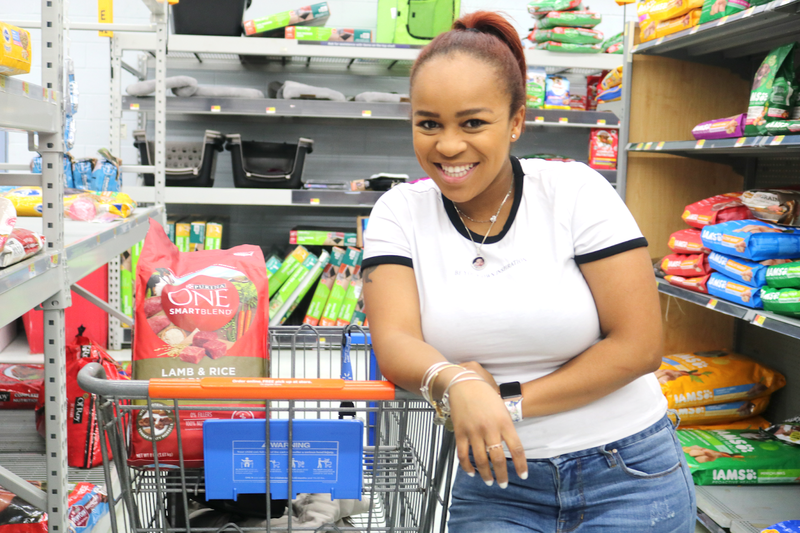 Check out the link on this photo to purchase from Walmart. Look below for some great coupons! 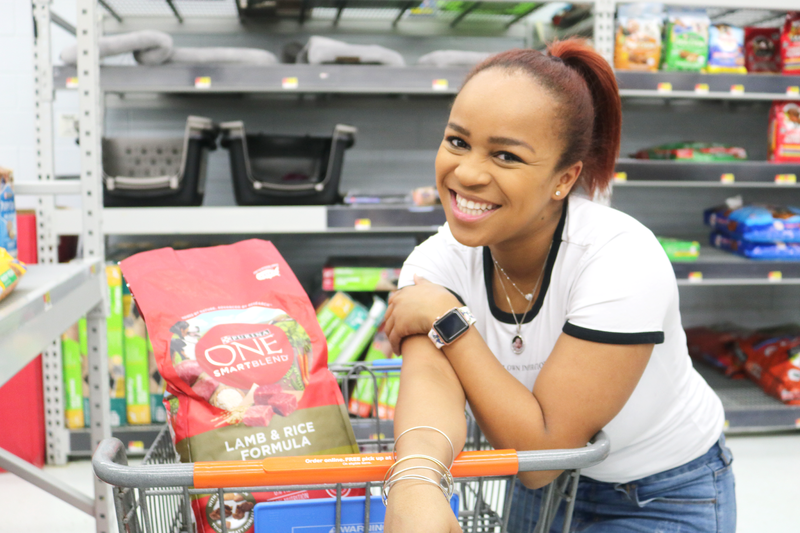 When Purina One® introduced the 28-Day Challenge I knew it was something I had to jump on! We decided on the Purina ONE® Lamb & Rice as this was what fit our needs. This specific formula is natural with added vitamins, minerals & nutrients. Over the course of this 28-Day Challenge Gunner could get more energy, become more playful and have an improvement in his skin, coat and eyes. Well this dog brand did NOT disappoint in any those categories. After just 21 days into the challenge, Gunner not only increased his energy but his skin was absolutely amazing! My main concern was no allergic outbreaks and that in addition to more, was exactly what I got. Once I knew the food was good for Gunner I knew that my next area of business was storage of the food. Yes, accidents do happen and I’m sure if Tate taste tested a handful of the food he wouldn’t be the first little guy to do so, but if it could be avoided then that is what I should do. As stated above, this gravity one from Walmart is simply amazing. I love the control it gives me and Gunner. A major plus it helps keep less food around for Tate to grab. In my house Gunner has his own area. Not that he’s restricted to it, he can go and come as he pleases. But similar to my bedroom where I can go and escape for some peace every now and then, he has the same in the house. In this space also goes his food bowls. I can keep them locked behind the divider providing another way for me to keep my human little guy away from my puppy little guy’s belongings, and I’m not just talking food. This was another great purchase I got at Walmart. The large 10 oz dog food container allows a way for me to securely lock Gunner’s extra food away from any little humans, bugs or even him sometimes! The inexpensive containers give me the extra peace of mind I need to know that even though Gunners food is very nutritious and healthy for him, it is safely put away for him and only him. Having both pets and children can sometimes turn out to be a hard task. From separation, to bonding to training it can add up and definitely cause a lot of stress. But always having the right supplies on hand can make the job a whole lot easier. 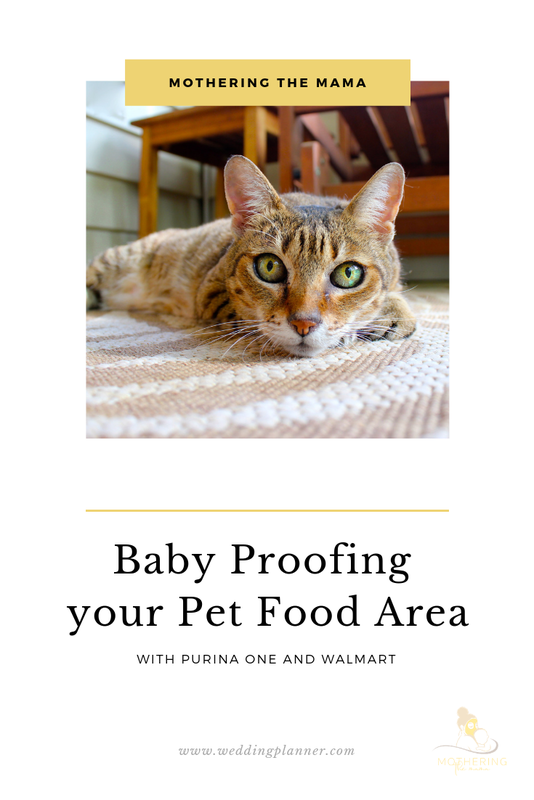 How do you do pet safety in your household? Take your pet from “good” to “great”! With Purina ONE®, you could see visible differences in just 28 days—like strong teeth, vibrant energy, sparkling eyes, and a radiant coat. Make the switch today and save on Purina ONE® when you register for the 28-Day Challenge at www.walmart.com/purinaone rel="nofollow">. What differences will you see? 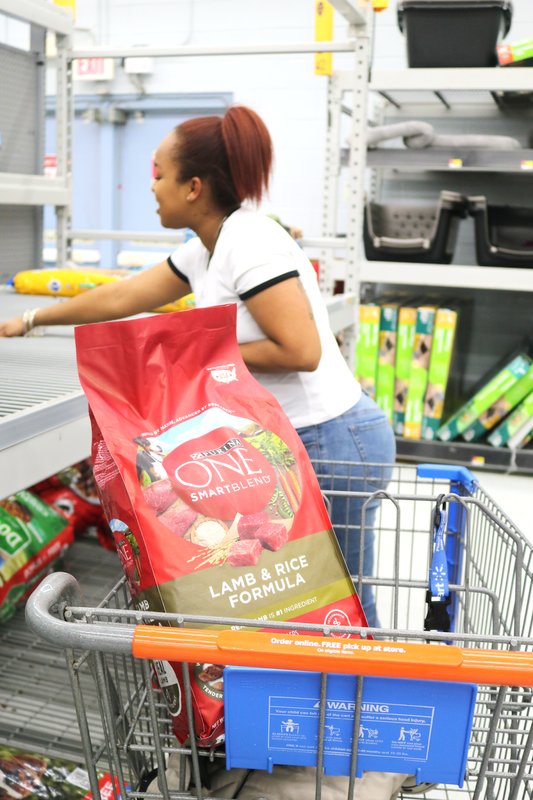 Visit your local Walmart to redeem your offer and realize your pet’s potential.